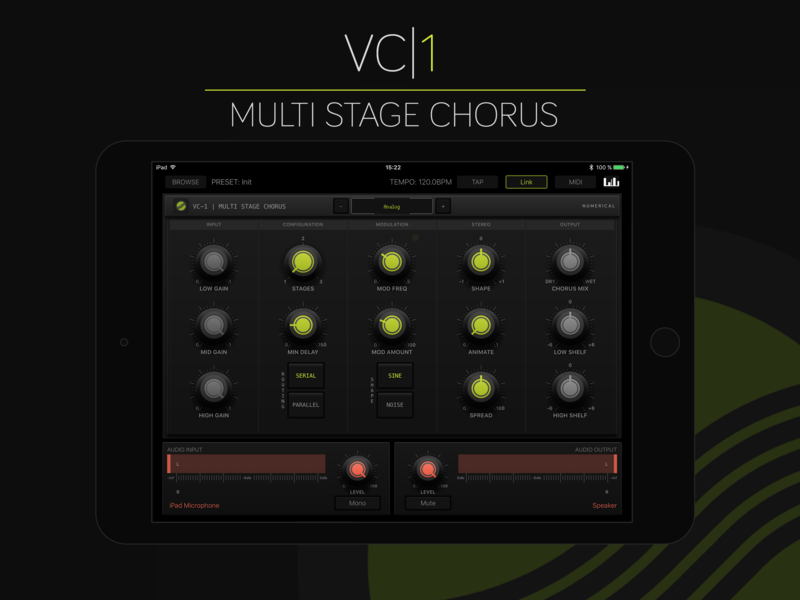 Numerical Audio has released VC-1 Multi Stage Chorus for iPhone and iPad. 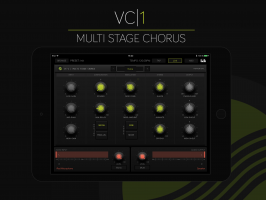 VC-1 is a flexible, stereo chorus effect capable of delivering many classic chorus sounds but it doesn't stop there. Featuring several true stereo algorithms with up to 3 chorus stages per channel, parallel & serial configurations, flexible input/output processing and more, VC-1 offers almost endless possibilities for classic, extreme or unconventional chorus effects. Warm sounding analog voiced chorus utilising BBD (bucket brigade delay) emulation. 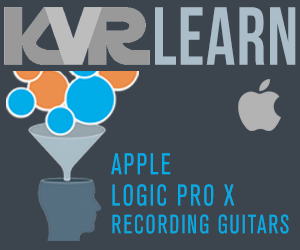 VC-1 (Universal Application) is available now for $5.99 in the US Apple AppStore and priced similarly in other regions around the world.